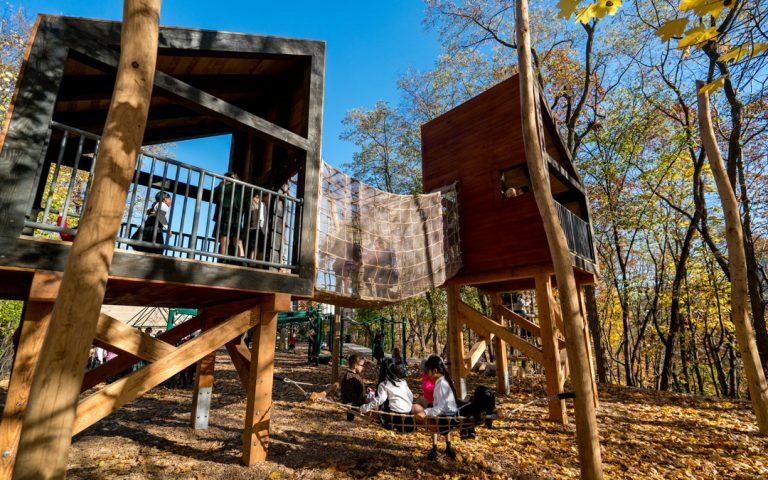 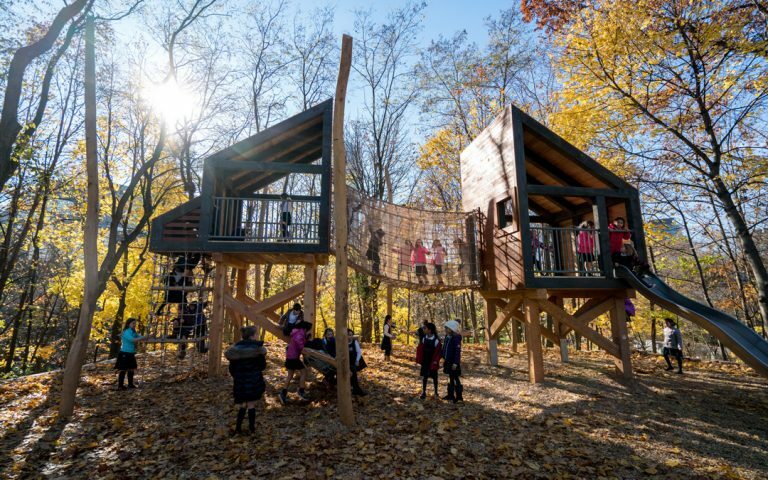 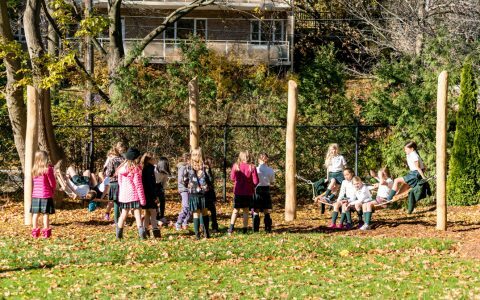 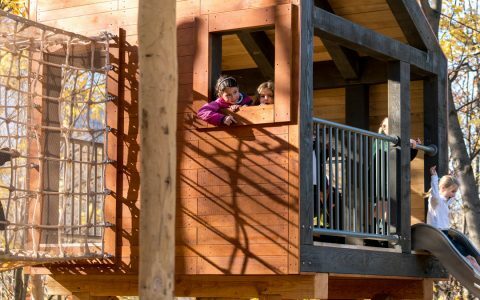 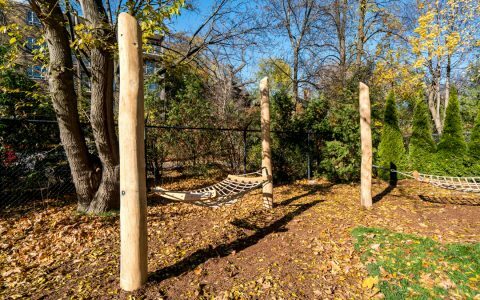 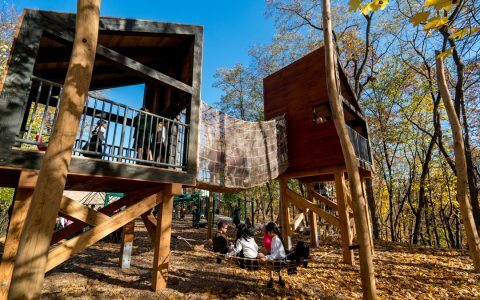 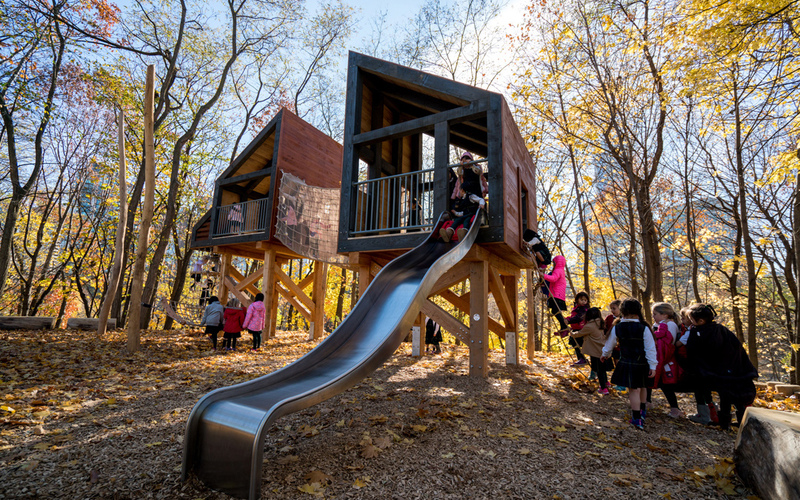 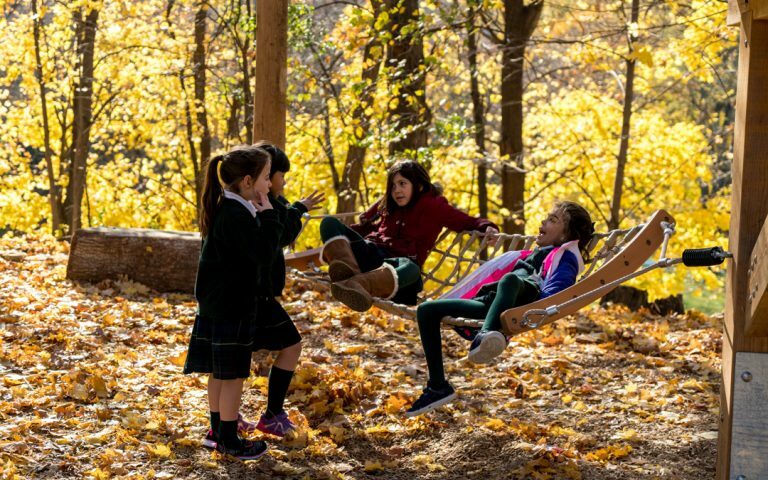 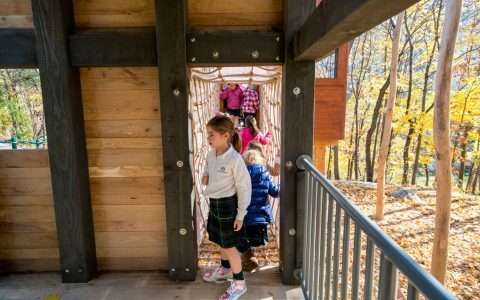 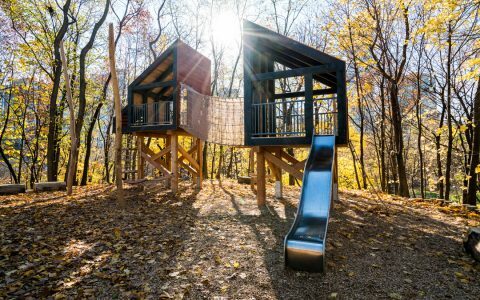 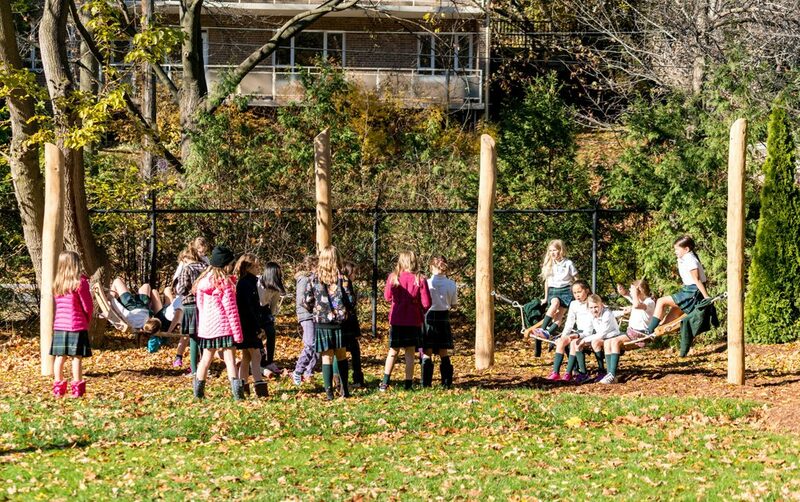 The playground at Branksome Hall, a private girls’ school in Toronto, includes two modernist tree-house like towers as well as a zone for quieter, social play. The focus of the tower area is on active play. 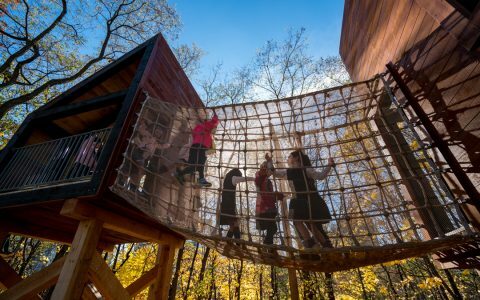 The tower structure encourages the girls to improve their physical development and go wild with their imagination. The Branksome towers take design inspiration from a modernist cabin in the woods. 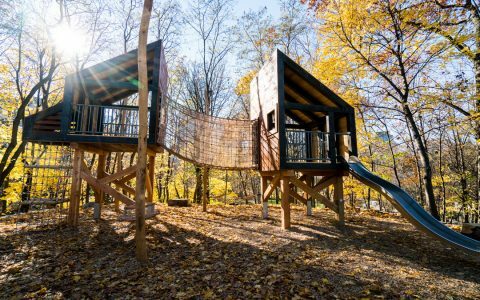 Intended to feel like a tree house, the cabin-like towers are nestled high among the surrounding forest of mature deciduous trees. 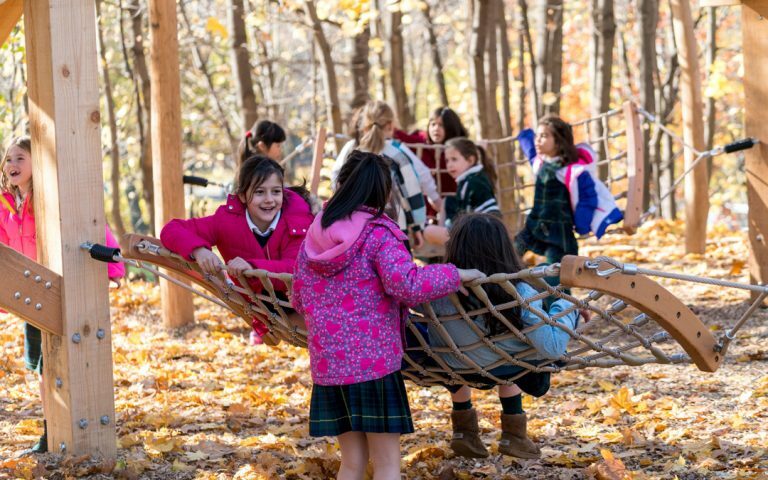 Children climb various access nets to get a true birds-eye-view of the stunning Branksome Hall school grounds. 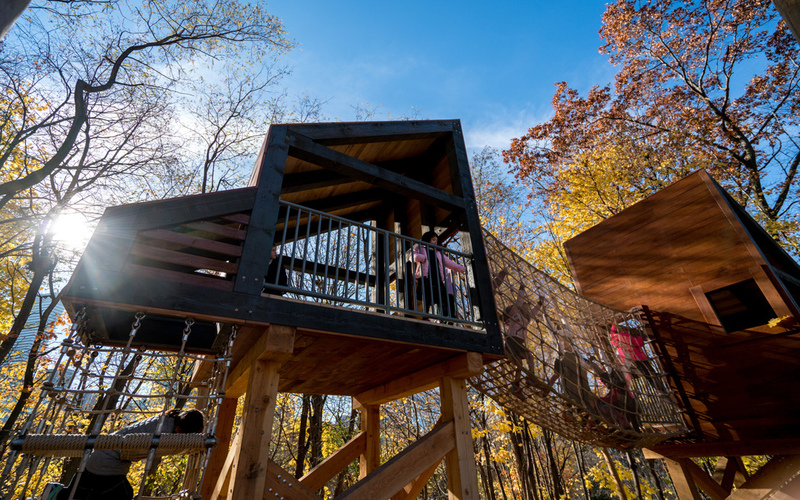 A suspended net bridge connects the two towers while the wavy stainless steel slide provides a popular escape route out of the smaller tower. 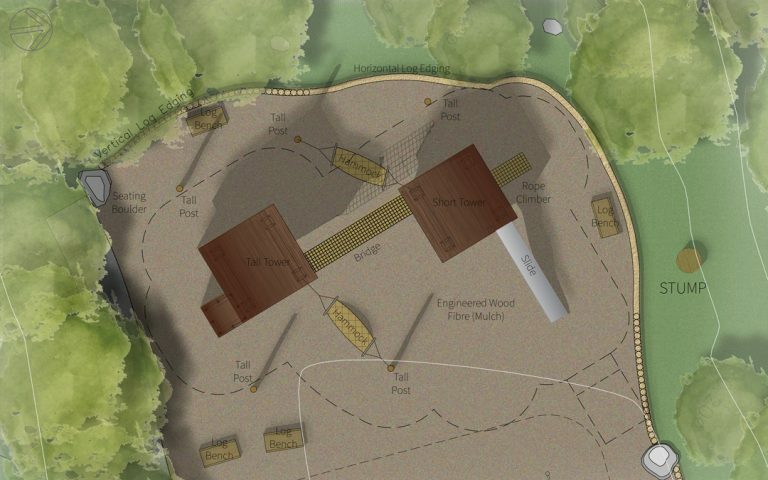 Swinging hammocks and play posts are added natural features in this area. At ground-level, a quiet zone is designed as a space for relaxation and reflection in this open and natural space. Students can enjoy some solitude in this area, feel the breeze and listen to the wind and the leaves. 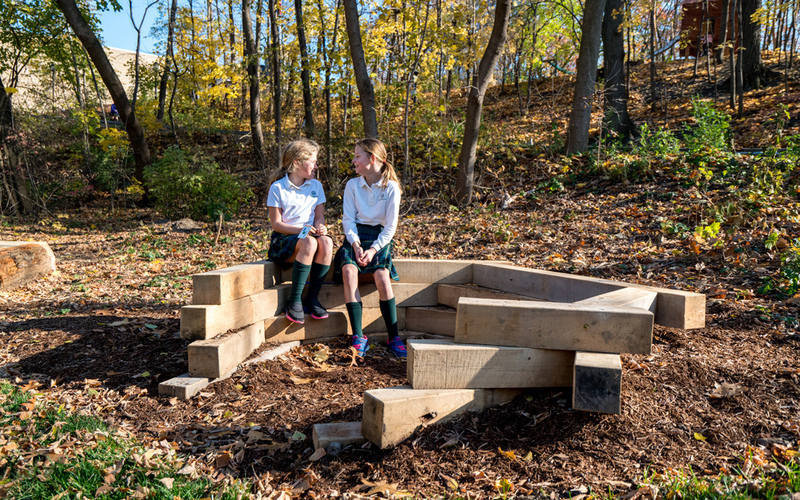 Several seating options are available including net hammocks, log benches, and the nest – a unique and private spot for individual reflection or a chat with a friend.